 Welcome to Mike Squirrell Physiotherapy in W1. Previously located on Harley Street we relocated to a larger clinic premises in 2011. Our W1 Physiotherapy practice is conveniently situated next to John Lewis on Oxford Street and within walking distance of Bond Street, Regent Street, Oxford Street tube stations. The clinic located 25 Wimpole Street, W1G 8GL. We are located on the 2nd Floor in the North medical suite. 25 Wimpole Street is a 5-minute walk from either Oxford Circus or Bond Street tube stations. The clinic is located adjacent to Harley Street right next to the corner of Wimpole Street and New Cavendish Street – closer to the Oxford Street end of Wimpole Street. Look for the Central, Jubilee, Victoria and Bakerloo lines. Back Pain – London Physio have the answers to all of your back pain problems. Don’t accept back pain in your life, seek professional help from the London Back Pain specialists in EC2. If you are suffering from neck pain or neck ache then we recommend a full and comprehensive diagnosis which may include an X-Ray or MRI scan where needed. During your neck pain assessment our experience physiotherapists in W1 will advise you of a recommended. treatment plan. Sporting injuries can be new and acute, or chronic ongoing ‘niggles’ that just won’t go away. To get to the bottom of the problem we use the latest diagnostic techniques including video assessment, surface EMG and motion analysis. It all comes together with hands on treatment to alleviate pain and stiffness – making you move better, taking the load from the injured part of your body. To return to your full sporting performance we help you to understand and prevent a recurrence of your injury from happening in the future.